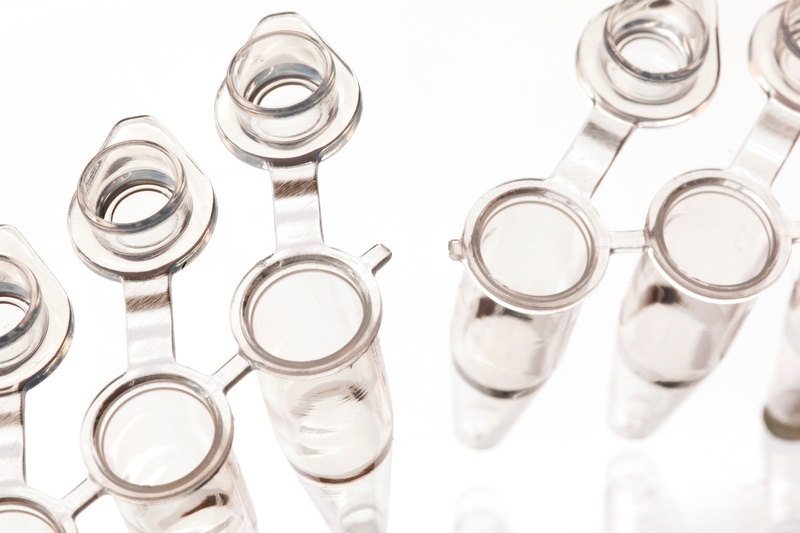 The SSI UltraFlux i PCR Strip Tubes are designed to provide the highest convenience and quality when carrying out PCR protocols. 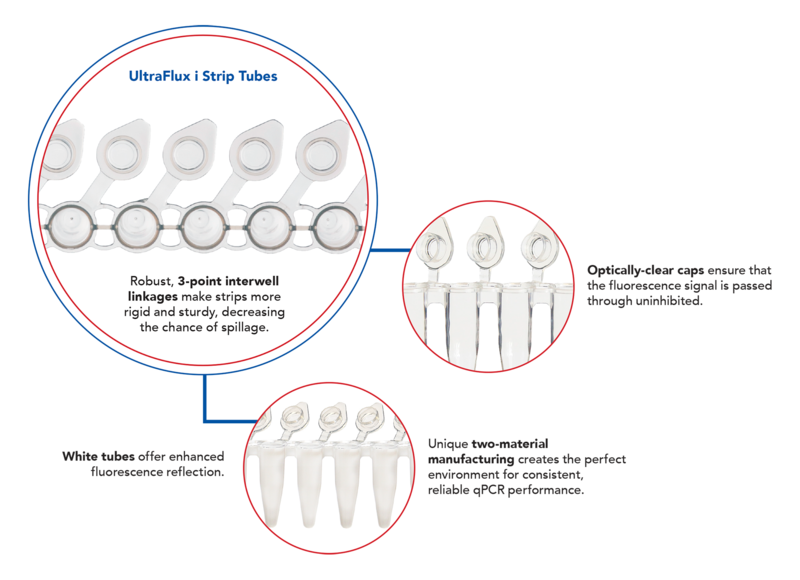 The SSI UltraFlux i PCR Strip Tubes consist of eight individually-capped thin wall tubes with a robust link between tubes. 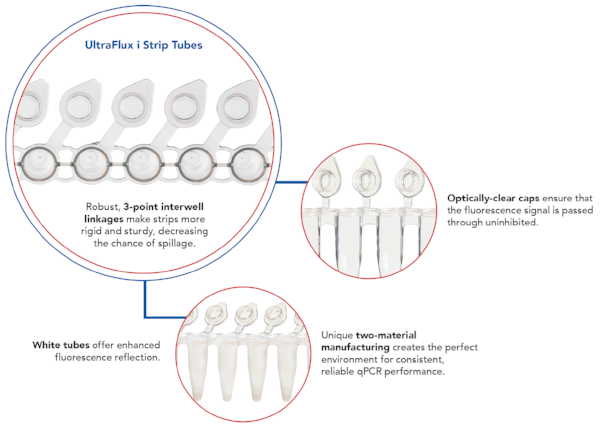 The robust inter-well linkage between each tube of the SSI UltraFlux i PCR Strip Tubes makes the tubes rigid, decreasing the chance of spillage. 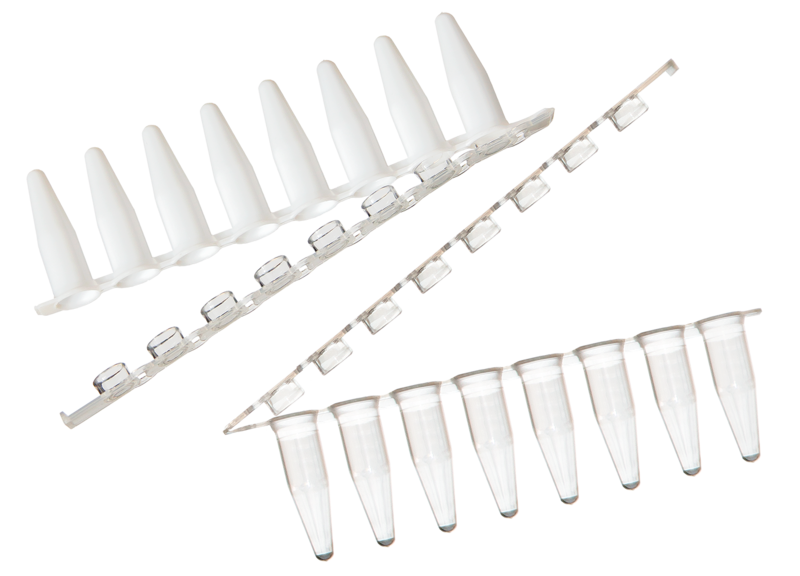 SSI UltraFlux i PCR Strip Tubes are built to fit together snugly with the angular design inside a thermal cycler and PCR plates. 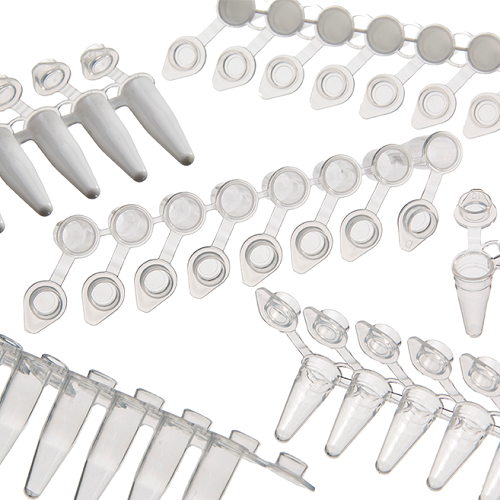 SSI UltraFlux i PCR Strip Tubes features include; ultra-thin walls for efficient thermal transfer and maximum yield, robust flex-free strips, and flat and domed optically clear caps. 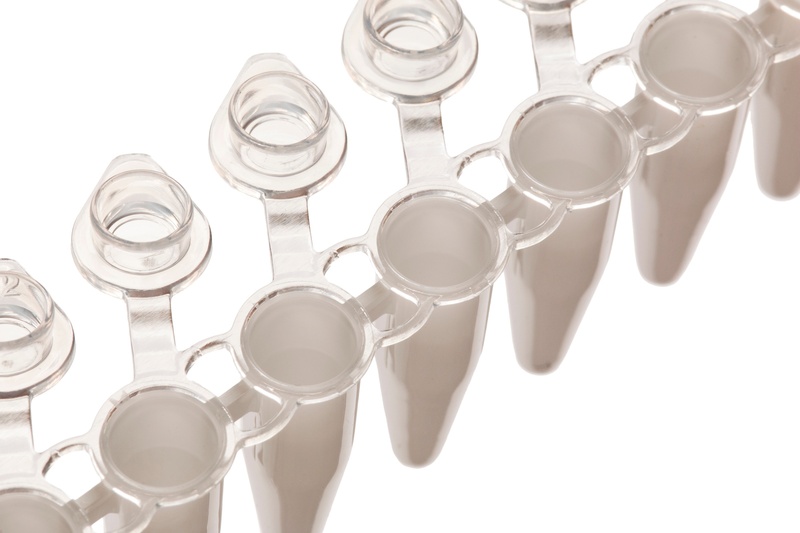 These SSI UltraFlux i PCR Strip Tubes are ideally designed for real-time PCR (qPCR). Caps have a patented 45° angular attachment that prevents cap hinges and lips from interfering with other caps, allowing for easier operation in an SBS format rack. 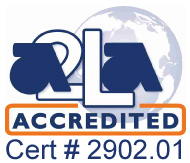 The unique two-material manufacturing creates the perfect environment for consistent, reliable qPCR performance. White wells offer enhanced fluorescence reflection and optically clear caps ensure that the fluorescent signal is passed through unaffected. Angularly attached caps on UltraFlux i and SnapStrip tubes prevent cap lids and hinges from interfering with each other, allowing for easier operation in an SBS format rack. Ultra-thin walls ensure efficient thermal transfer and maximum yield, yet are strong enough to prevent crushing. 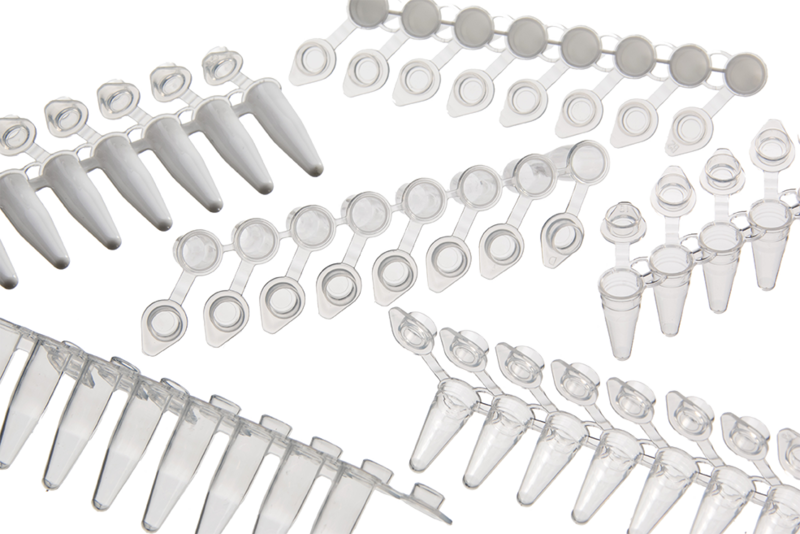 White tubes are available with optically-clear caps, thanks to proprietary two-material manufacturing. The white wells offer enhanced fluorescence reaction and the optically clear caps ensure that the fluorescence signal is passed through uninhibited, creating the perfect environment for consistent and reliable qPCR performance.